The FLIR E8 thermal imaging infrared camera combines point and shoot simplicity with an impressive 76,800 pixel resolution (320 x 240) and other advanced features to bring in a new era of affordable thermal imaging. 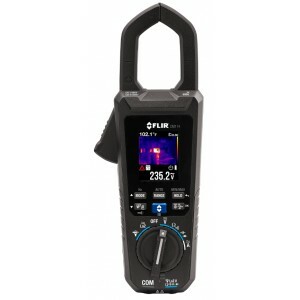 With a 45° x 34° field of view and FLIRs Multi-Spectral Dynamic Imaging (MSX) technology providing unparalleled clarity in interpreting images, the E8 is the perfect instrument for energy auditors, building inspectors, electrical contractors, predictive maintenance specialists, HVAC professionals, insulation contractors, and many more. 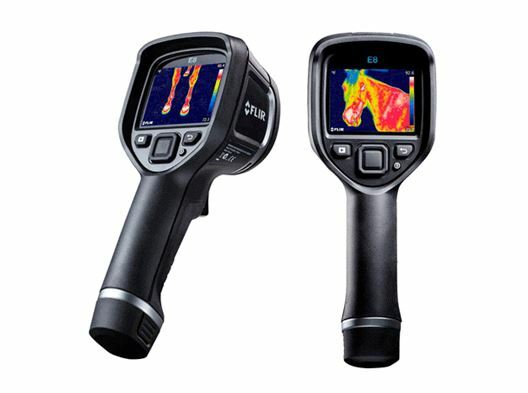 The fully-automatic FLIR E8 thermal imaging infrared camera is easy to use out of the box and is suitable for everyday, general diagnostic work. The unit is rugged while weighing just 1.2 pounds. 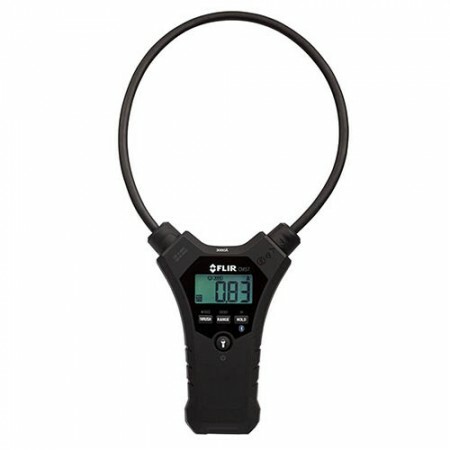 The E8 has a temperature range of -20 to 250 °C with < 0.06˚C thermal sensitivity and 2% accuracy. Images are shown on the large, 3.0″ LCD color display as well as automatically stored in the internal memory for later viewing. The swappable Li-ion battery provides 4-hours of life. 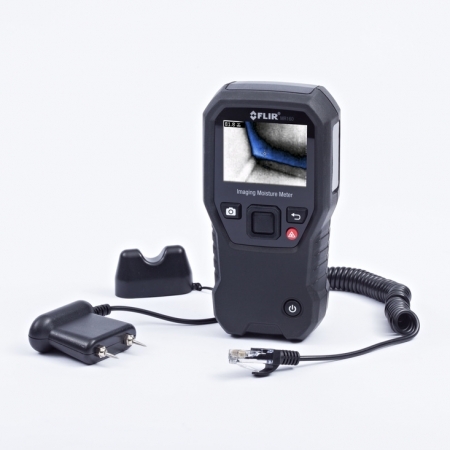 The FLIR E8 thermal imaging infrared camera is protected by an unmatched Warranty – FLIR’s exclusive Double Diamond warranty covers the whole camera for 2 years, the battery for 5 years, and the detector for 10 full years. The FLIR E8 thermal imaging infrared camera boasts Multi-Spectral Dynamic Imaging (MSX) for easier interpretation of an image. MSX adds visible spectrum definition to IR images by detecting the edges of objects and including that detail in the thermal image. Text becomes clearly visible so that users can read a label or identifier within the IR image. This exclusive function provides extraordinary thermal detail that instantly highlights and orients problem locations and eliminates the need to refer back to a visual image for detail. Electrical – Find hidden problems quickly, make timely repairs, prevent unscheduled shutdowns, and improve plant safety. Mechanical – Discover overheated bearings, linkages, and other components before they can interrupt your operations or create safety hazards. Utility – Scan large areas and hundreds of connections quickly and efficiently to prevent unexpected service outages and lost revenues. Roofing – Find compromised roofing areas at your facility, and repair it before problems quickly become a safety hazard or require replacing the entire structure. Building Diagnostics – Even small areas of moisture intrusion can be easy to spot with an infrared camera. Locate and repair hidden water damage before a trickle turns into a flood. Energy Loss – Discover missing insulation, faulty HVAC systems, and other issues that waste energy and lots of money. 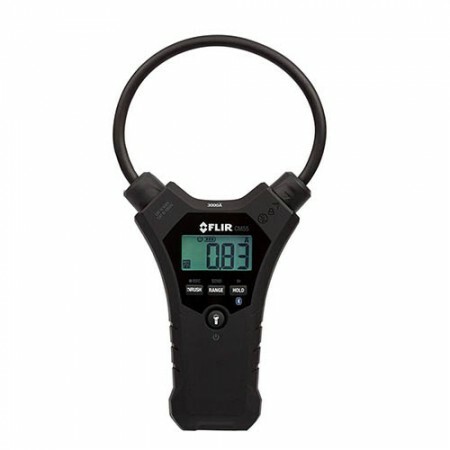 Missing Insulation – Locate poor insulation quickly by detecting and comparing differences with surrounding areas. Water Damage – Find and fi x hidden water damage quickly before small problems become big, expensive ones, and document proof of your repairs. Air Leaks – Detect air leaks around windows, doors, and other structures. Repairing them saves energy and money. 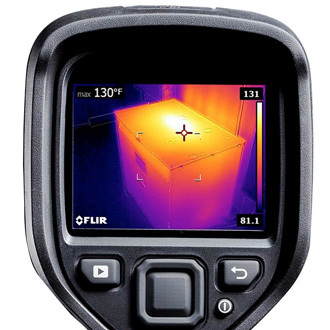 Electrical Problems – Finding hidden electrical problems is easy with FLIR, allowing you to take quick action to solve them. HVAC Problems – Discover leaking ductwork and troubleshoot heating, AC, and radiant fl ooring problems to maximize energy efficiency. Mold and Rot – See temperature differences to expose hidden leaks that can lead to expensive and extensive health issues and structural damage.